Extraordinarily complex and visually groundbreaking, with Cloud Atlas less may have done more, but there is no arguing the craft on display here. Watching Cloud Atlas you can’t help but get the feeling you bit off more than you could chew. However, when you’re able to swallow and digest, the brief asphyxiation doesn’t bother you. Directed by the flashy minds behind the Matrix and Perfume, the Wachowski’s and Tykwer pay their respects to the old saying, go big or go home. Starring Tom Hanks (Catch Me if You Can), Halle Berry (X-Men), Hugo Weaving (Lord of the Rings trilogy), and Ben Whishaw (Perfume), Cloud Atlas’s intensity has the cast to match. Covering vast periods of time and stretching across space, Cloud Atlas is a poetic summary of life. Starting with primitive civilizations and working its way through time all the way to the remarkably advanced future, Cloud Atlas entwines existence regardless of perceived time. Following the stories of six people as their souls transfer through life and death being reincarnated again and again. Cloud Atlas specifically focuses on the effects each person has on one another and the illusion that is chance. Discarding chance and freak occurrences for fate and destiny, Cloud Atlas is based upon influence and how everyone and everything is connected. 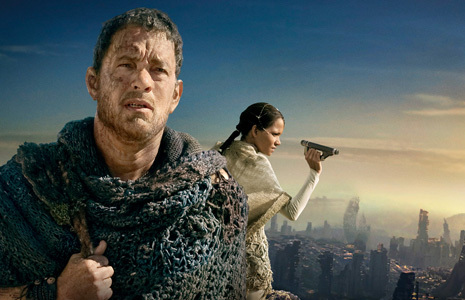 Adapted to the screen from David Mitchell’s novel of the same title, Cloud Atlas was once thought to be un-filmable. Containing intertwining characters that cover historic periods of time while also predicting the future, Cloud Atlas spans the globe for locations and settings. It breaks the bank bringing to life and prepping decadent costumes to render its all star cast unrecognizable. This film would prove to be a challenge for any director, let alone three. 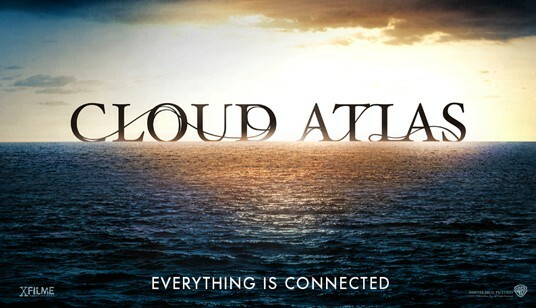 The Wachowski’s and Tykwer do their best but their all just isn’t enough to tackle Cloud Atlas in its illimitability. There is no fault placed upon any of its cast or directors, Cloud Atlas is simply to broad and intricate to adapt faultlessly. Ben Whishaw breaks from the shadows and provides the films best performance while Weaving and Hanks bring their usual muster and brightness. For those who haven’t read the book, the film will require multiple viewings in order to fully comprehend. Even for those who have read the story, the films mass resembles that of a black hole and is too much to take in if you plan on just one viewing. 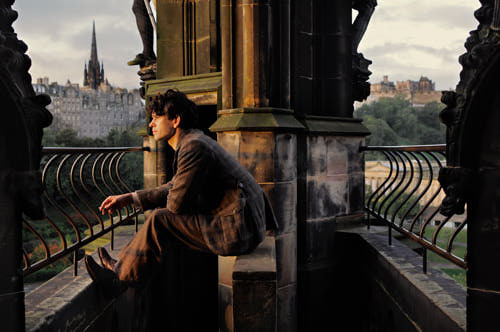 Cloud Atlas is intriguing, intelligent, and a sight to see. Cloud Atlas: 7.5 out of 10.